Is Sky Sports Greyhounds Officially a Thing of the Past? Home Greyhound Racing News Is Sky Sports Greyhounds Officially a Thing of the Past? The Sky Sports greyhound racing schedule at GBGB is currently empty. There are no meetings set to be broadcast on Sky Sports during 2018 and although RPGTV appears to be going from strength to strength, the loss of support from Sky Sports is likely to have a seriously negative on effect on the game. For a number of years now, Sky Sports have been an active supporter of greyhound racing, with between two and four meetings a month on average being shown on one of the subscription channels. With dog tracks closing at an alarming rate, greyhound racing needs all the positive publicity it can get, and the end of this relationship with Sky could not really have come at a worse time. Any sport shown live attracts interest from both spectators and the betting public. A number of bookmakers have offers and promotions that tie in with Sky Greyhounds, all of which will now need to be scrapped. 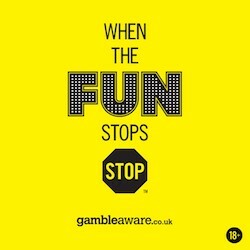 Sky Bet and Betfred in particular were well known for providing a free bets offer which kept punters coming back and continually tuning in to the live action. A lack of television coverage is bound to mean less bookmaker interest and this could have far reaching implications for the sport. It is hoped that parties at the Greyhound Board of Great Britain and Sky UK can sit down and strike a fresh deal, but the fact that this was unable to be achieved prior to a blank calendar arising suggests that relations between the two parties are less than positive. I am unsure as to whether the GBGB are asking for too much money, or greyhound racing just does not generate the type of viewing figures Sky Sports require for a new deal to be viable. One small glimmer of hope would be the fact that greyhound racing has been a fixture on Sky Sports for a number of years, and a team of presenters and pundits are already in place should fresh negotiations produce future programming. While some of these staff may be working on a show to show basis, I’d imagine a number have contracts with Sky and it would make more sense for the dog racing coverage to continue rather than pay these people to do nothing for the remainder of their deals. There are set to be more meetings shown in betting shops around the UK via both SIS and TRP/Arc, but these will definitely not have the same appeal to sponsors as those events broadcast on the Sky Sports medium. For me, it is crucial for the future of greyhound racing that it continue in one form or another on a major TV channel.